Created in 1980, the glycemic index (GI) is a measure of the ability of the carbohydrate in a food to raise blood glucose levels. The 'reference food' to which all other foods are measured against is pure glucose. Some reference tables actually use white bread as the reference food which can cause considerable confusion as foods will be ranked artificially high. The Glycemic Index should never be used as a tool to dictate whether one food is healthier than another. Firstly, feeding a fixed portion of carbohydrate (not food; i.e. 50g of carbohydrates from porridge oats equals 85g of porridge oats, assuming there are 60g of carbohydrate per 100g of oats. ), generally 50g, and measuring the area under a two hour blood glucose response curve. Secondly, this is then divided by the area under the reference food’s blood glucose response curve and multiplied by 100. A large number of things affect the GI of a food, for instance the fat, protein and fibre content of the food has a profound effect due to the effects on gastric emptying. Other things such as the whether it is made up of amylase or amylopectin (two different starches). Cooking can also affect the GI of a food therefore make sure if you’re following a strict GI based diet you check this out. The practical application of the GI is in those who wish to minimise the output of insulin and therefore maximise insulin sensitivity. Chronic intake of high GI foods is a known cause of Type II Diabetes. Similarly, prospective studies have shown an increased risk of Coronary Heart Disease (CHD) when diets are made up of a large percentage of high glycemic index foods. Spikes in blood glucose are closely followed by elevated levels of insulin which signals for the body to store the glucose in the liver and muscle. However, if the rise in glucose and insulin is sharp, it will fall again quickly, which can lead to hypoglycemia. Hypoglycemia is essentially low blood glucose levels (defined as below 3.9 mmol/L) and is characterised by feeling hungry, faint, jittery, irritable etc. Clearly this is not a good state to get into. The glycemic index of a food is not a good indicator of appetite suppression and therefore should not be considered as a viable ‘tool’ when constructing an effective fat loss diet. The GI response of a particular food is highly variable and can differ by up to 50% or more, depending on the individual. In addition, the GI response can be altered when consuming a mixed meal, thus holding little to no relevance in most real world situations. If there is any conclusion to draw, contrary to popular beliefs and widely espoused views, the glucose response to eating (and even more so insulin response) is associated with *decreased* hunger and energy intake. Emphasis on the nutritional quality of a given food rather than worrying about its rank on the GI scale should be of primary concern for individuals looking to lose weight. Remember, total energy balance is the master regulator in any fat loss diet and transient effects of a food on blood glucose or hormones have a much smaller, if any, impact. Today there are many available definitions of a ‘complex carbohydrate’ but specifically, complex carbohydrates in true sense are carbohydrates with 3 or more sugar molecules attached together. These can be termed oligosaccharides or polysaccharides. Now we know them as potatoes, pasta, rice, bread etc. 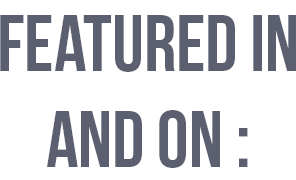 but this category also contains things like maltodextrin and waxy maize starch. As you can see in the GI table below, a large number of the commonly known ‘complex carbohydrates’ actually have a moderate to high GI. Therefore, we really need to rid ourselves of this utterly pointless classification that only serves to confuse people! 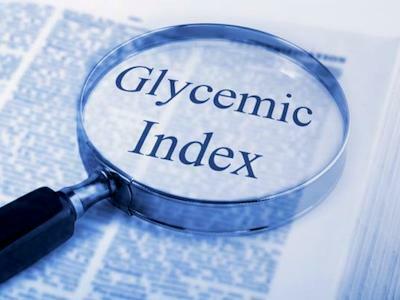 For a downloadable glycemic index table, take a look at our nutritional resources page.